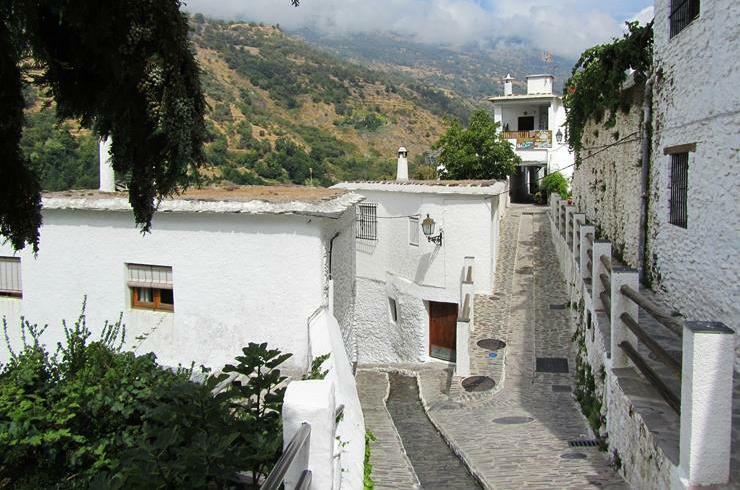 The Alpujarras refers to an area north west of Almeria on the south facing slopes of the Sierra Nevada. Watered by the snow melt from above the vegetation is lush and green in stark contrast to the arid foothills below. The average alitude of the Alpujarras is around 4,000ft but famed throughout Spain for its superb mountain hams, or jamón serrano - is Trevelez (above), at over 4,840 feet above sea level, the highest village in Europe. 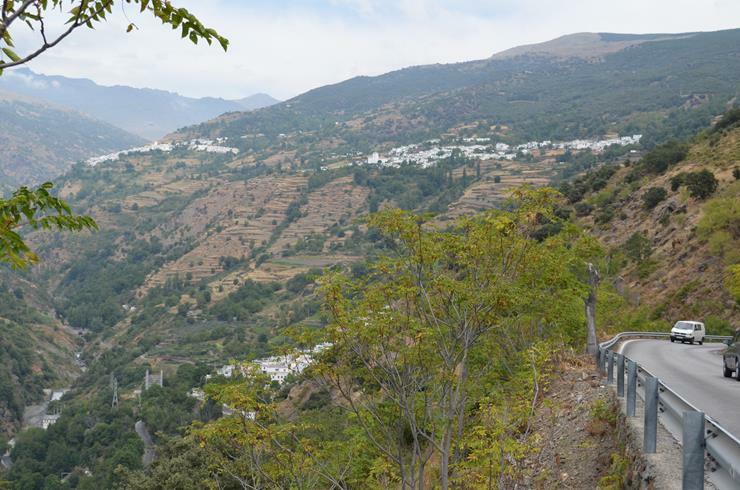 The Alpujarras consists of around 50 villages, all whitewashed and nestling in valleys and gorges in contrast to their green surroundings. The Alpujarras were the last bastion of the Spanish Muslims or Moors who fled Granada after it was liberated by the Castillians in 1492. 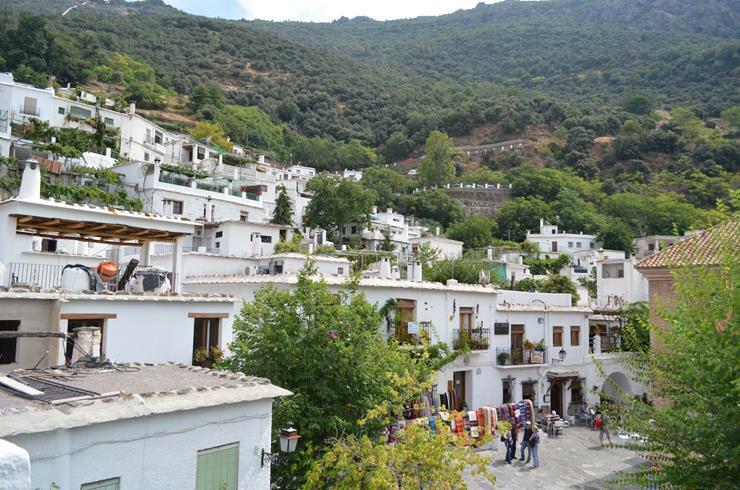 Among the places to visit are the trio of villages in the Poqueira Valley - Pampaneira, Bubión and Capileira (above) all still very much as the Moors left them with narrow streets, cafes and craft workshops. At around 3,300ft Pampaneira (above & below) is the lowest of the 3 villages. With a population of around 300 it is centred around a pretty square surrounded by craft shops and a 16th-century Mudéjar church, the Iglesia de Santa Cruz with a wooden ceiling and gilded altarpieces dating from the 17th and 18th centuries. 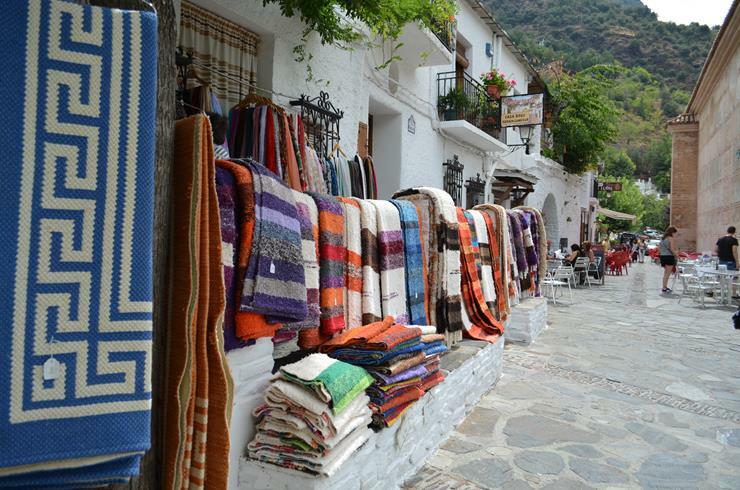 Very much a signature craft of the Alpujarras is the jarapa, distincltly colourful rugs traditionally crafted form offcuts and scraps of material crafted and sold throught the region.